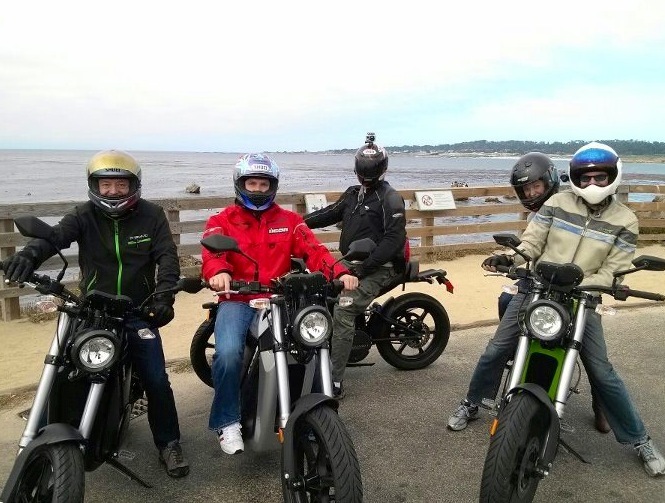 Brammo Blog : 17 Mile Drive. Blog 27: Where I wait on Fed Ex, build a 3D sign for the Marketing tent, ride 17 Mile Drive and then have a tasty Coronarita. Fun. But I’m getting ahead of myself (as usual). The day did not start with my God-Like powers in full effect. My day started with waiting and an ugly ugly orange Gremlin. It was in Kingman, Arizona (about 400 miles from home) that I realized I didn’t have my helmet cam. Way too far to turn back. 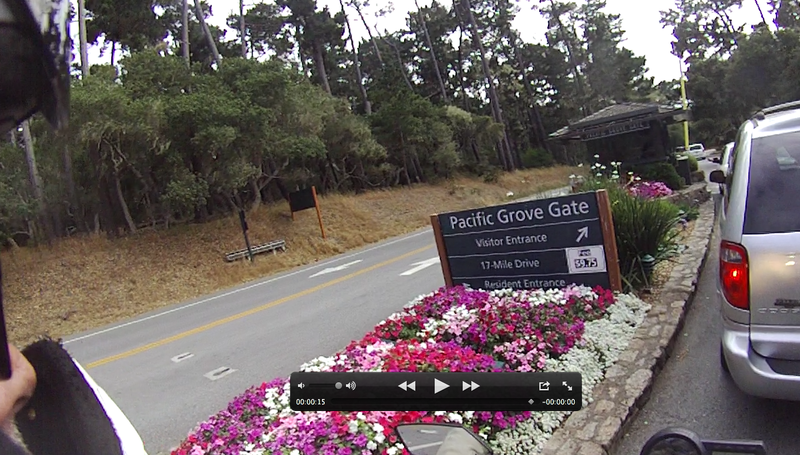 But I really wanted that cam to record our ride on 17 Mile Drive (that was approved by the Pebble Beach’s Executive Team some time earlier. I had been keeping that info secret). So my wife was sending it by Fed Ex, and I was pacing like a panther waiting for it to arrive. Front Desk to Room to Front Desk to walk around the parking lot to Room to Front Desk. I knew that the Brammo Team was getting to Laguna Seca at 8 am to start setting up and I wanted to get there ASAP. It was now 10am and no FED EX. There were two positives that came out of waiting…well positives might be overstating it. One, Brammo needed fishing line and scissors. Since I was just waiting around I stopped my pacing and went out shopping. The sad thing is that I now know where the Walmart is in Salinas, Ca. I had hoped to go the whole trip without going into a Walmart, and here it is less than 24 hours in town and already searching one out. Two, across the street was a crazy ugly orange Gremlin. The first car my brother and I shared was a 1974 Gremlin. Gawd that was a love/hate relationship (with the car, not my brother). Just a horrid horrid car, but still “a car“. And it had a bench seat, which is nice when you’re 16. Just an awful car in sooooo many ways. Yet I will always love it dearly. So, fishing line and scissors in hand, I headed off from Salinas toward Monterey. I never once saw the sun in Salinas. Foggy, cloudy, damp…Yes. Sun…No. The whole, “The coldest winter I ever spent was a summer in Salinas.” I dressed for New Mexico summer, not a London spring. 17 Mile Drive: The Ride. Background. 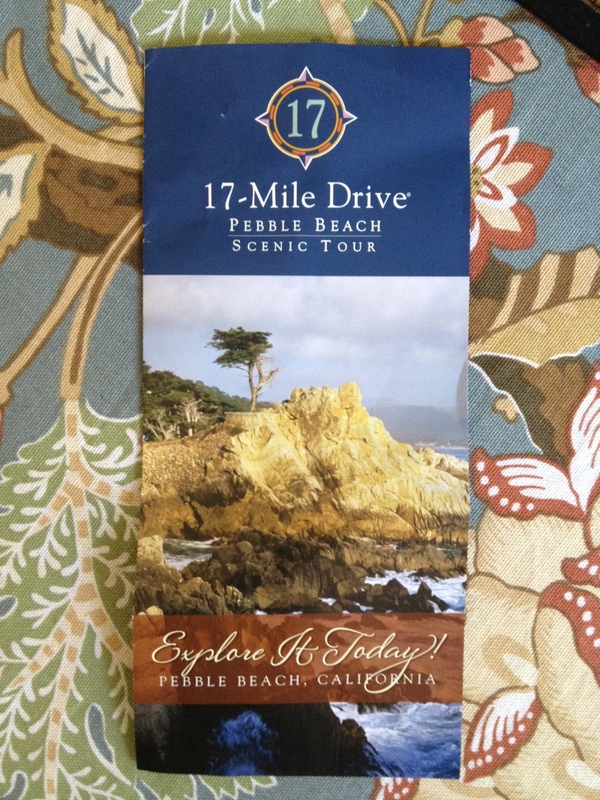 17 Mile Drive is a lovely bit of road between Monterey and Carmel that runs through Pebble Beach. It follows along the coast and heads inland through some beautiful trees and fun twisty roads. It is a guarded community with private roads and certain rules. Some say 1992, some say 1972…either way, many many years have passed since the last time. At least a generation. 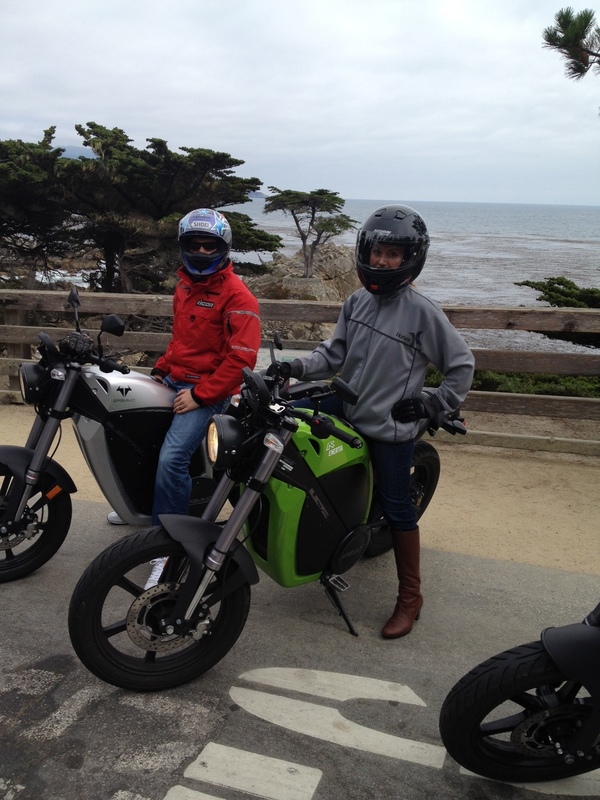 I knew Brammo would be staying very very close to 17 Mile Drive and I really wanted to ride that road. I knew we would be on CLEAN, QUIET vehicles. 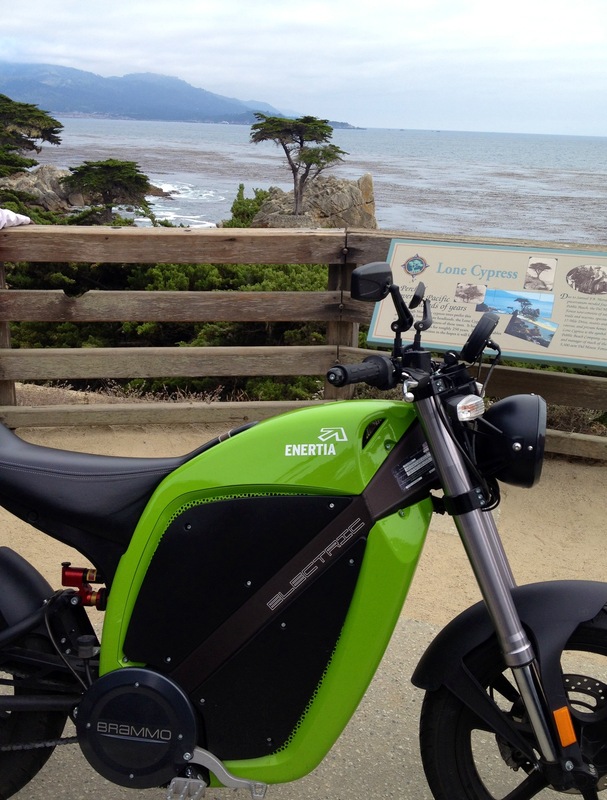 And I knew that electric motorcycles would be the absolute best way to enjoy 17 Mile Drive, while still respecting the environment and people living there. So I emailed to Pebble Beach’s public relations executive. And he was absolutely GREAT. A couldn’t ask for better communication nor a more positive attitude. I was a bit shocked, surprised and extremely happy. I expected a “No”, or a “We would like to, but” or no answer at all. Instead they asked for some background and information and then asked some more questions. They actually contemplated, thought it through and decided to try it and see. Thanks so much Mr. Pierce. But enough of that: Photos is what this blog is all about. 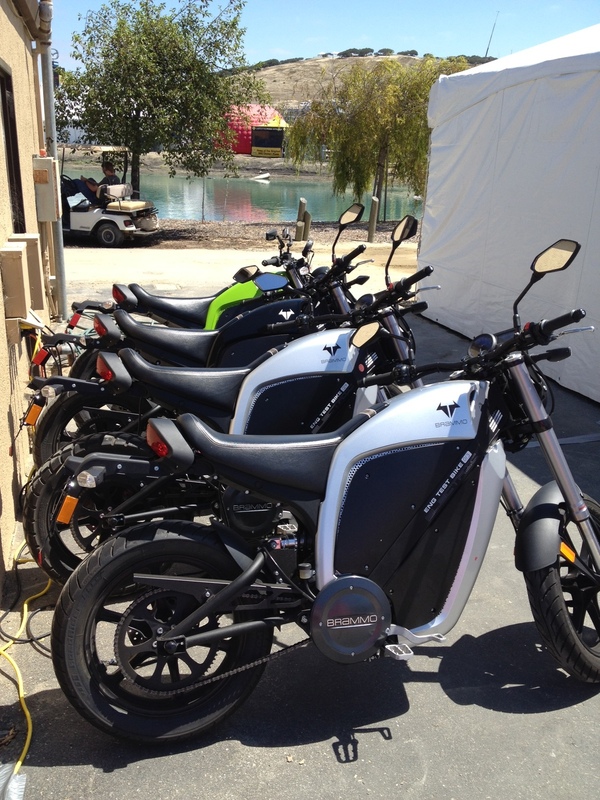 Bikes charging up at Laguna Seca before The Ride. We had approval for 5 bikes, 5 riders. 1 rider had to cancel, so 4 bikes went. The ride was sent up for us to hit the gate at 5 pm. The downside is that the Brammo team had been working so hard getting set up that they started thinking maybe they should just skip the ride. I, and I think they too, were glad they didn’t bail. But you’ll have to ask them. A screen capture from video of us at the gate. The security team was expecting us and SUPER NICE. They asked about the bikes (where are they made, how fast do they go, etc) and didn’t charge us to enter. Adrian Stewart asking if it was alright for Sarah to ride…forgetting my powers. Nobody says NO to me. First Stop is Point Joe and asking strangers to take our photo. 4 bikes, 5 riders. 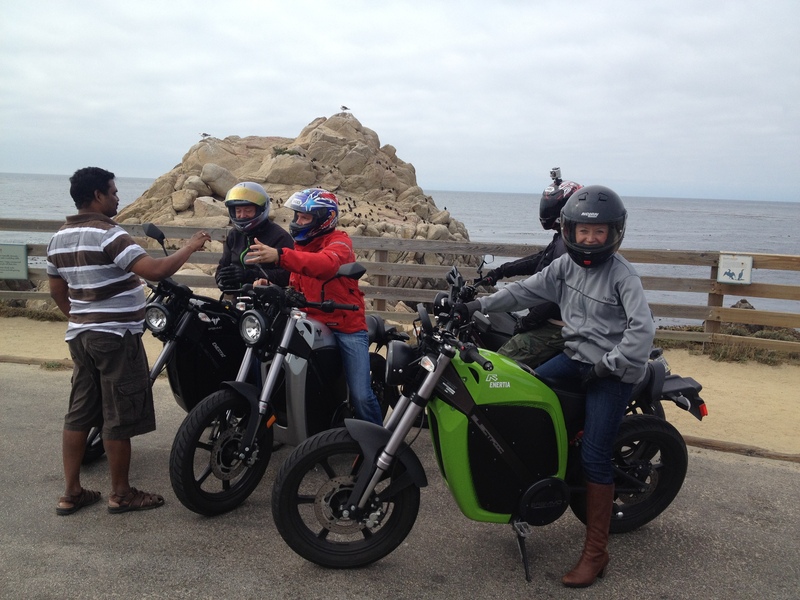 Our GANG took over 17 Mile Drive. Second Stop…the Famous Lone Cypress. Adam and Sarah posing. The Lone Cypress is the official logo of Pebble Beach. It is a wonderful drive. And I am so happy to have ridden it with other riders. Go Team Brammo! 🙂 I hope Pebble Beach finds a way to allow more riders on this lovely roadway. a) the folks at Pebble Beach are not doing blanket rejection of motorcycles. b) Gavin was able to effect real change by asking nicely. “Wow, my image of Pebble Beach just skyrocketed! As a motorcyclist, I used to think their excuses for banning bikes were just that, excuses. 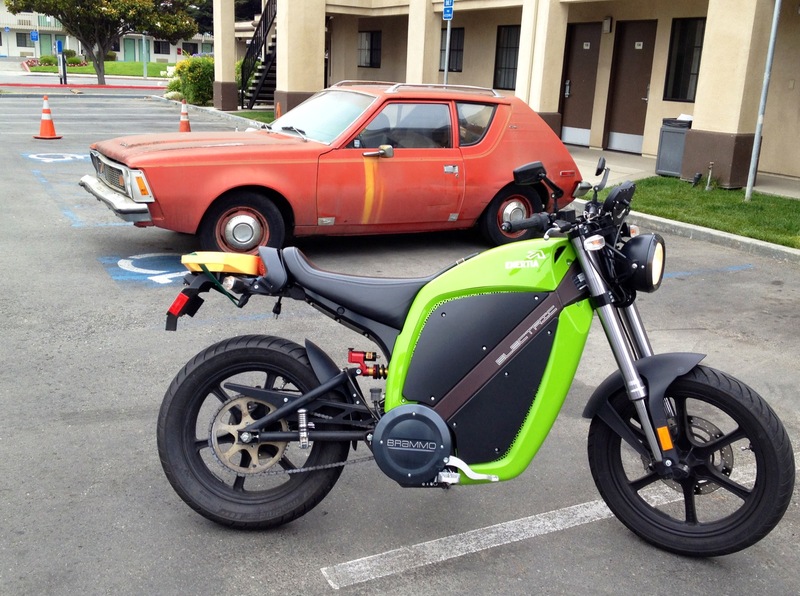 But if they are open-minded enough to let EV bikes out there, then I’ll man up and be open-minded about Pebble Beach too. 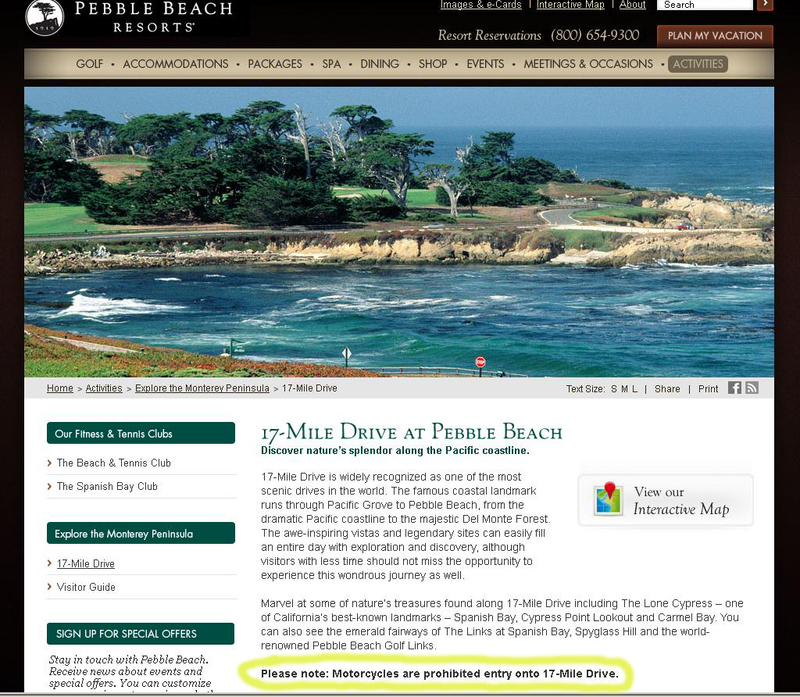 I sent those messages directly to Pebble Beach and they were very appreciative. This is great, Gavin. Thank you for sending these thoughts and sentiments along. They will go a long way in reviewing this policy moving forward. 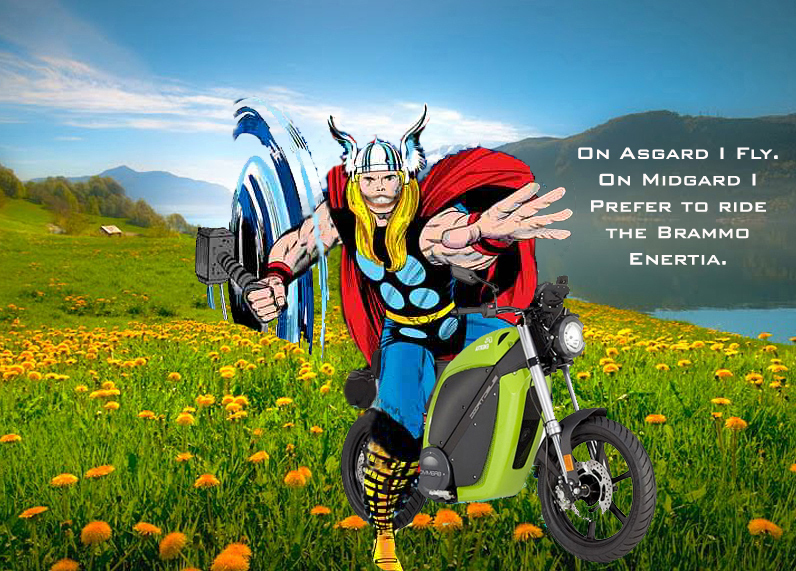 And wouldn’t it be great if electric bikes opened up new places to ride, open up new thoughts on what a motorcycle is, what a motorcycle can be. Laguna Seca will have to wait for tomorrow’s blog. following the other bikes after I had made a wrong turn. Our Gremlin was green but nice to see one. Now, these are the photos I have been waiting for. So pretty. You do not mention that your helmet cam arrived but I guess it did. yep, helmet cam arrived. Ride went very nicely.